The Bible is Christianity's most sacred text..
Like many other religions, Christianity has certain texts and writings it considers sacred. 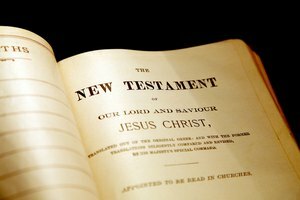 The primary text Christians revere is the Bible. The Bible itself is comprised of many different sacred texts, gathered together by the early Christian church and adopted as canon during the early church councils. In addition to the Bible, Christianity looks to other texts as useful which, while not inspired in the way Christians believe the Bible is inspired, are still considered sacred. It's important to distinguish between the two tiers of sacred texts in Christianity. The top tier contains the Bible. Christians agree the biblical writers were inspired by God, although various streams of Christianity may disagree about what inspiration means. Other texts are highly valued but not considered inspired. Instead, they are useful articulations of the Christian faith and life and, in some denominations, even used as a statement of faith or measure of correct doctrine. The Bible is composed of 66 books attributed to 40 different authors. Christians refer to the Bible as "the word of God." They believe God inspired the authors. Some denominations believe the Bible was dictated by God through the authors and is without error in any way, including matters of history and science. These streams of Christianity usually believe in a literal interpretation of the Bible. Other denominations suggest that God inspired the writers, although their imperfections and humanity still show in the writing. These Christians tend to take a more allegorical approach to Scripture, arguing that the message is far more important than the accuracy of the details. Eleven sacred texts written after the close of the Hebrew Bible but before the New Testament make up the Apocrypha, also called the deuterocanonical books. These books include Tobit, Judith, Wisdom of Solomon, Sirach, Baruch, First and Second Maccabees, an addition to the book of Esther and a series of three additions to the book of Daniel. 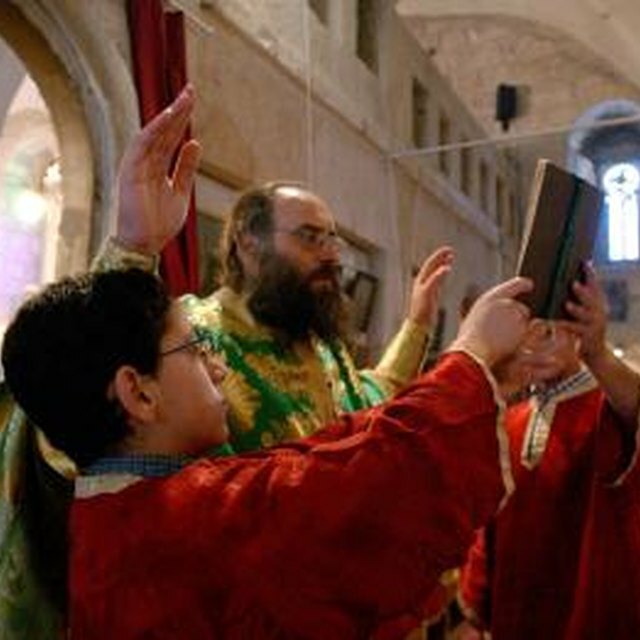 The Catholic and Orthodox streams of Christianity accept these texts as part of the canonical Scriptures. That is, they believe these texts are part of the biblical text. 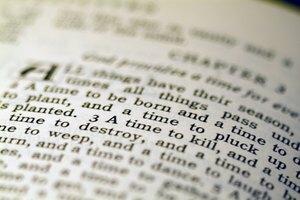 Protestant Christians reject these texts as Scripture, but many still consider them useful. The first four centuries of Christianity were critical in the development of Christian doctrine. Early Christian writers left a record of their beliefs and activities and trace the growth of Christianity and the articulation of essential doctrines like the Trinity. These writers are often referred to as the "early church fathers," and include the writings of Ignatus, Polycarp, Clement, John Chrysostom, Tertullian, Cyprian, Ambrose, Augustine and several others. Christian theologians and leaders study the early church fathers to better understand the history of Christian thought. As the Church confronted one heresy after another in the early centuries, it became necessary to express correct doctrine in a manner that priests and parishioners alike could digest. 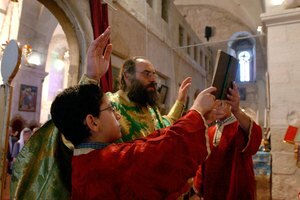 Several creeds came about during the first four centuries of the church, including the Apostles' Creed, the Nicene Creed and the Athanasian Creed. 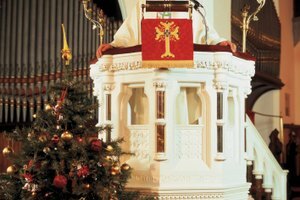 These creeds are often recited in liturgical worship services throughout many different Christian traditions. Few denominations reject them outright, and some see them as essential expressions of Christian faith. The Reformed Reader: Why Creeds and Confessions? 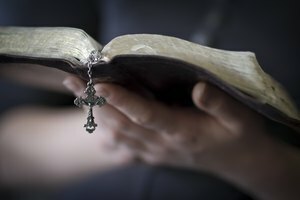 Catholic Answers: Did the Church Add the Deuterocanonical Books to the Bible at the Council of Trent? Allen, Robert. "Sacred Texts & Writing in Christianity." Synonym, https://classroom.synonym.com/sacred-texts-writing-in-christianity-12085359.html. 29 September 2017.